So what's the Chinese bad luck number? It isn't 13... If you get on an elevator, what's the missing number on the pad? You will notice the number 4 is missing... yes, Chinese consider this a "bad luck" number as the pronunciation "suh" sounds similar to the Chinese character for "death". In contrast, the number 8 "bâ" sounds similar to the word for "wealth" and is therefore considered a very lucky number. The Beijing Summer Olympics started on 08/08/08 at precisely 08:08:08 p.m. Some variations exist because of the different pronunciations across China. So you might find that in some places the number 4 might be a lucky number. 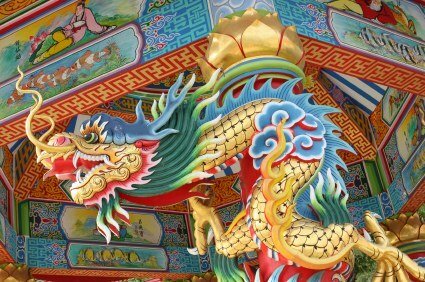 So get ready to learn a bit more about different aspects of Chinese Culture, from food to festivals, to dragons and pigs. Pigs? Yes! 2019 is the Year of the Pig! Chinese celebrations are rich in tradition and history, great food, dazzling decorations and fireworks. What and how do we celebrate? There's Lantern Festivals, Dragon Boats, Moon Festivals! Learn more about Chinese traditional celebrations here! Chinese New Year is the celebration of the year. It's like Christmas and the most anticipated festival. Do kids get presents? Is there a Santa? When is it? Also called the Lunar New Year, it is full of cheer, dragons, red envelopes, dancing lions... Check it out! The Dragon Parade is a highlight of any festivity. It is said that the Dragon Dance performed during the festivals scares away the evil spirits and all the bad luck with them... So how long is this dragon? How do they make it "dance"? See it here in action. Lion Dances are highly charged performances by teams of two very agile dancers, one holds the head and the other the body of the Lion. Lion troupes play out during street celebrations to the sound of drums, gongs and cymbals and are a must of every Chinese celebration. Here's more on the Lion Dances and how to have your own! As in the "western" zodiac, there are 12 signs in the Chinese Zodiac. The twelve animals however, correspond to each of the twelve years in the lunar cycle rather than a month like in the western zodiac. You will often find a year referred to as "the Year of the Tiger" for example. Which one is your sign and what does it represent? Chinese New Year Crafts Here are some easy crafts and activities for kids to make, great for decorating during Chinese New Year or an Asian-themed birthday party. Here we teach you how to make your own lucky red envelopes, how to write Chinese New Year greetings, make a paper fan, firecrackers, and many shapes of lanterns. Chinese love their food. There are many styles attributed to the different regions from which they come from, all using their own unique ingredients and cooking methods. We introduce you to the many styles, how a Chinese meal is served, how to eat with chopsticks, common ingredients and utensils and more. Let's get started. Chinese writing characters go back more than 3,000 years. The symbols began as pictures. Pictures were drawn to resemble the items they represented. Imagine trying to memorize hundreds even thousands of pictures in order to be able to read and write... Check out how it all started and evolved with some simple characters for you to try. Dragons are found everywhere in everyday Chinese life. They are prominent as decorations and artwork, at parades and celebrations, in poetry, legends and folklore, and even in the Chinese Zodiac. You will definitely encounter them if traveling through China. But... aren't dragons supposed to be bad? 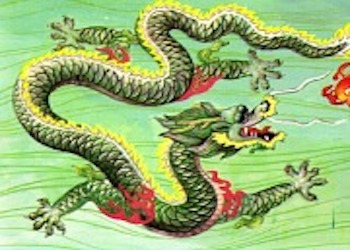 Are Chinese Dragons evil? Confucius was China's most famous Philosopher. Confucius was a government official who during his lifetime saw growing disorder and chaos in the system. Perhaps due to the turmoil and injustices he saw, he set himself to develop a new moral code based on respect, honesty, education, kindness and strong family bonds. Here's more on the teachings of Confucius and popular quotes attributed to him. In Chinese Culture it is believed that there are two basic forces that rule all that exists. These energies, Yin and Yang, are opposites that complement each other and there must be a good balance between them to bring in good fortune. Yin is the softer side while Yang is strong and energetic. Yin symbolizes the moon, Yang the sun. These forces are at the core of many Chinese concepts such as Feng Shui, Chinese Medicine and Taoism. What is Feng Shui? Literally it means "Wind" and "Water" and explains the principles the Chinese believe are essential for living in harmony with your surroundings. "Good" Feng Shui promotes health, happiness in your relationships, wealth and success. 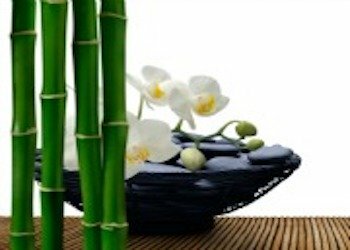 Sometimes it takes something as simple as a plant to deflect "Bad" Feng Shui away. We will be learning more about simple ways to practice Feng Shui. The Giant Panda is an endangered species and unique to China where it is considered a national treasure. The black and white adorable creatures roam the forests and mountains of South West China. Many reserves have been set up for their conservation. Where can we learn more and see Giant Pandas in China?